Function Provide for Environmental Seal in the Cable Outer sheath. Also, provide mechanical cable retention & electrical continuity . Double compression cable glands! Accessories Matching Accessories available like PVC Shrouds, Lock Nuts, Earth Tag, Reducers, Adaptors, etc. 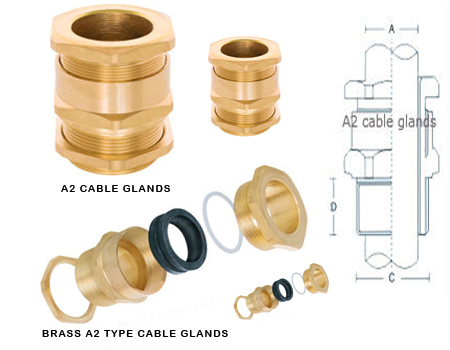 as per the requirement .We can also offer LSF E1W cable gland kits cable gland packs with LSF PVC shrouds , Brass earth tags, Brass lock nuts . Features : Positive armour locking, effective earth continuity, increased mechanical strength. 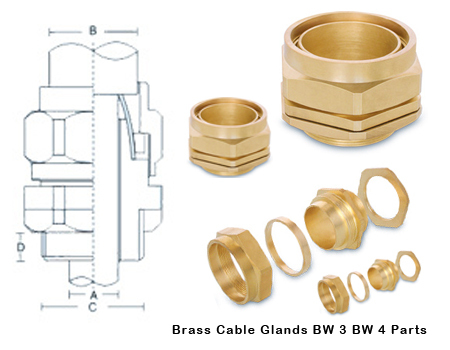 All the E1W cable glands and gland kits packs pf E 1 W Cable Glands are available with accessories and Earth Tags. To BS 6121 pt. 1 suitable for SWA or rubber sheathed cables. Outer seal grips bedding layer of cable. for use in most climatic conditions Weather proof and water proof. Design has separate armour lock rings. can be supplied with integral earth facility. 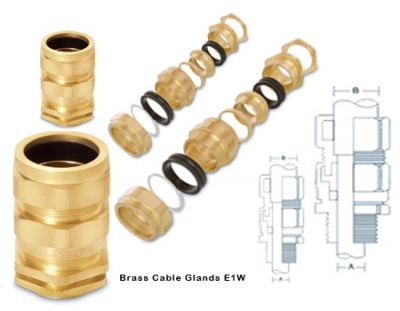 E1W glands are weatherproof glands and can be used in corrosive conditions when protected with shroud. 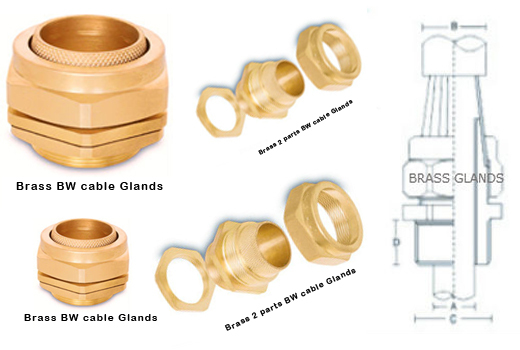 This all weather gland effects the cable outer sheath and the gland nut and between the cable inner sheath and the gland body. Also available in Kit Packaging and also as per the specification.